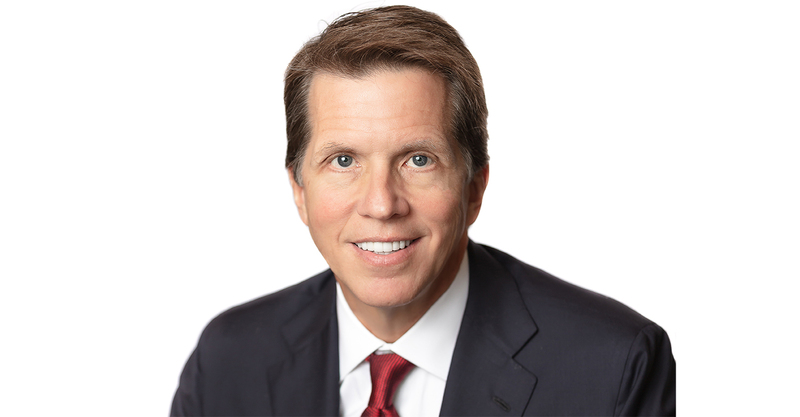 In legal and corporate circles, Mark Lanier is known as one of the nation’s top trial lawyers with a hard-to-beat record of massive recoveries for injured plaintiffs. Last year’s pair of federal-court verdicts totaling $1.5 billion against DePuy Orthopaedics over defective hip implants followed a long line of successes since he founded The Lanier Law firm in 1990. Lawdragon: How did you first become interested in a litigation practice that often focuses on massive claims for plaintiffs? Mark Lanier: I was trying a case as a defense lawyer and it never really occurred to me at the time, but we were wrong and owed the money. All I was thinking was, “I think I can win this thing!” I was blind to whether winning was the right thing to do. I lost that trial – can I say, “thankfully”? – my first trial loss. Driving home, a thought struck my brain like a thunderbolt: What if I had used my gifts and skills to deprive someone of justice? The thought appalled me. I knew then what I would need to do. I would need to shift and start taking cases where justice was on our side and I could help people. That is where the decision began in my head to move to plaintiffs’ work. Of course being a Texan, I was always under the understanding if you’re going to go, go big! So the “do big cases” decision was only natural. ML: I love making a difference. It brings a deep satisfaction to help desperate people find help and relief. I also love the pursuit of truth, and when the truth comes out, I have a sense of moral vindication. A third love comes from working with fantastic people. The trial teams I lead have some of the most dedicated and talented people I know. It is a great joy to team up with them. LD: Out of all the high-profile matters you’ve worked on, does one stand out? ML: The first Vioxx win will always stand out. Merck wanted to try the first case against me because I was an unknown in the field of pharma litigation. Still, I had tried a bunch of cases at that point in my legal career, so to me the Vioxx case was just another product liability case. The case was right, justice was on our side, and it was so much fun unfolding the case before the jury. The press attention was massive, so that made it memorable and high energy. The result of $253 million was icing on the cake. LD: How would you describe your style as a trial lawyer? Does your work as a pastor and teacher play into this? Does it also go the other way – has being a lawyer made you better at your other endeavors outside the law? ML: I like to think I am one person. So the lawyer in me is the pastor in me, and vice versa. Everything I do, then, makes me more experienced and better in each area. Without a doubt, the fact that I write a PowerPoint, use an Elmo, and give a 45 minute “closing argument” in the form of a class at church each week makes me well-tuned for the trials that come. Similarly, from the trials I get a good bit of stories to use as examples in teaching at church. LD: What advice do you give younger trial lawyers? ML: Be genuine. Search for truth. Work to present the truth. Develop your skill set in every way you can. And come to my litigation-training seminar in September! I open the vault and give out all my tricks of the trade. LD: Can you share another litigator you have come up against that you admire? ML: I admire every litigator I come up against, because trying a case is not easy. You leave a chunk of you behind in each case. Your ego is involved, your reputation is on the line, you have clients you care about, you have deep economics and job security on the line, and that is a lot of pressure. So when someone steps into the cage we call a courtroom, I have nothing but admiration. LD: Tell us a little bit about your career path. Why did you decide to start your own firm as opposed to staying at a larger practice? ML: I was working for a large international firm and had a chance to go work for a personal hero/mentor of mine in a small plaintiffs’ practice. I loved my job at the big firm, but couldn’t pass up a chance to learn from one of the best. After about a year working for this gentleman, I thought, “I can do this!” So I went out on my own. It has been a blast every step of the way. I enjoyed the business side of being on my own. It adds something to practicing law. LD: What are you working on these days? ML: I am working hard at spinning plates. I like diversity, and it is a lot more fun to work on a wide variety of things. So these days, I am still spinning the plate of Pinnacle hips, but I also have some good commercial cases, several IP cases, some general tort work, and some other mass tort business. LD: Can you describe a recent litigation you’ve handled? ML: I had two hip implant trials last year in federal court. One group had five plaintiffs with implants, the second group had six implanted plaintiffs. The jury returned a verdict slightly over $500 million for the first group and $1 billion for the second group. Both are on appeal. LD: What was challenging about the litigation? ML: The biggest challenge in these cases is overcoming the obstacles from the defense attorneys. For example, the lawyers are adept at pushing the envelope to open doors to evidence that wouldn’t normally come in. Then once the doors are open, the evidence comes in, and the defense attorneys howl “unfair” and use the admission as a point of appeal. Similarly, the lawyers will push the judge through walking back on agreements made before the bench, trying to goad the judge into making errors that can be used on appeal; fortunately, our judge had the patience of Job. All of this is on top of the general chore of presenting a case that the jury will learn and remember over the course of a three-month trial. LD: What is the impact of the litigation? ML: The impact is unknown at this point. Hopefully when all is said and done, the clients will get a measure of justice and the industry will change the way they do business, to the benefit of everyone. LD: Do you think there will be something particularly memorable about the case that will stand out? ML: Memorable? $1.5 billion! Seriously, I have been so impressed with the care and attention of our jurors in those cases and others. The jury system is an amazing invention. LD: Why did you choose Texas Tech University School of Law over other options? ML: I was from Lubbock and had good knowledge about the school. Also I could live at home and the tuition was four dollars an hour! LD: Did you know what you wanted to do back then? ML: In law school, I really had no idea about what I would do. Once we won nationals in moot court, I figured I would be in a courtroom, but I didn’t know enough to know what a practice might look like. I was just glad to have a job! LD: Did you have a favorite class or professor that was particularly influential in your career? ML: My moot court coach Don Hunt taught me much of what is involved in being a good lawyer who works hard and maintains a life outside of the practice. LD: Why did you go to law school in the first place? ML: I took an aptitude test in 9th grade that said I should be a preacher, a lawyer, or a politician. I always wanted to preach, but never cared for the money side of religion. So I figured if I practiced law, I could preach because I wanted to, and not because I had to. I could do it without financial strings. LD: Can you talk a little bit about your extra practice activities related to your faith? How much time is spent preparing and teaching Sunday school? ML: I love what I do at church. I spend a good 10 to 20 hours a week working on classes I teach. They are watched often on the internet, and it is a joy to get to be a part of something that has a global reach. Check it out at www.Biblical-Literacy.org! LD: What led you to start the Lanier Theological Library?